Stock # 11404, 3.6L V6 DOHC 24V, 6-Speed Automatic, 30498 mi. Gently used but in pristine condition saving you big money vs. buying brand new. 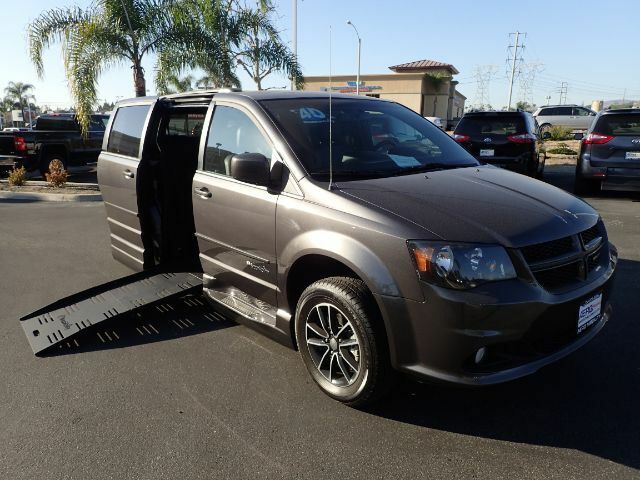 This 2017 Dodge Grand Caravan GT has a few miles over 30k and a 29.25" power foldout ramp conversion from BraunAbility. Equipped with black leather seats accented with red stitching, removable front seats, steering wheel controls, touchscreen display, and exterior step-assist.